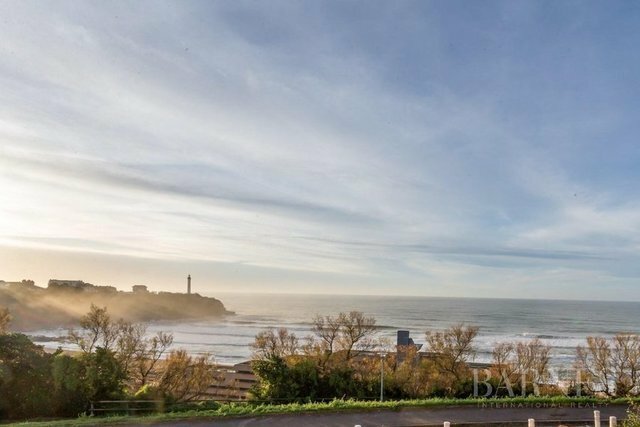 Magnificient view of the sea for this house on 2 levels. On 500 sqm land, the house has balconies and large windows. 200 meters from the beach, very close to the golf course, an exclusive location. The house will have to be entirely renovated. Unique on the basque coast.